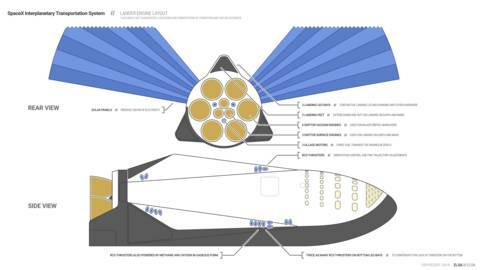 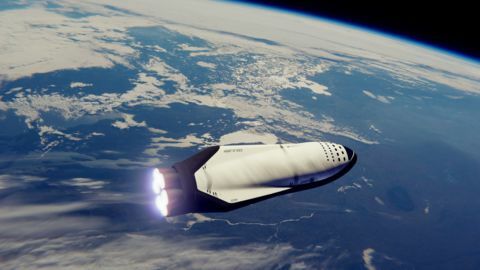 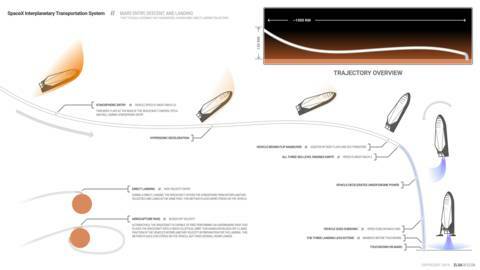 This piece shows the SpaceX Interplanetary Transportation System Mars lander performing the trans-Mars injection burn that marks the beginning of its coast to Mars. 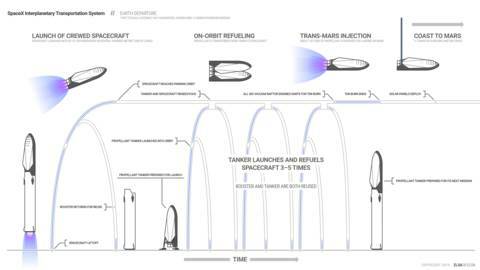 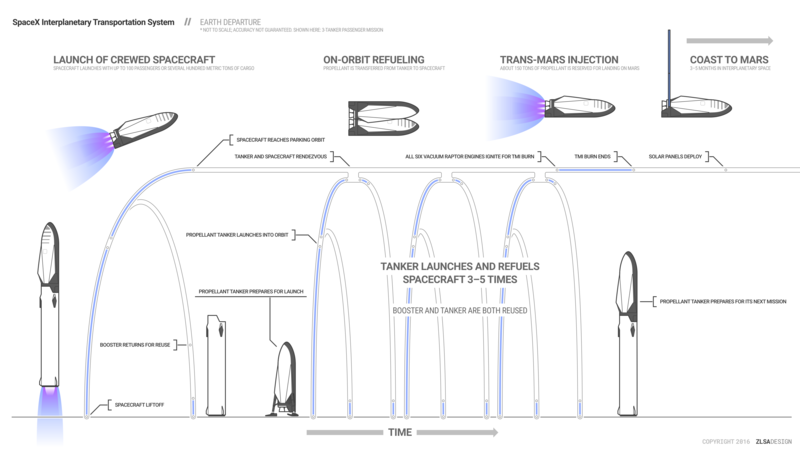 This is an overview of the operations the SpaceX ITS will take when it departs from Earth for its #JourneyToMars. 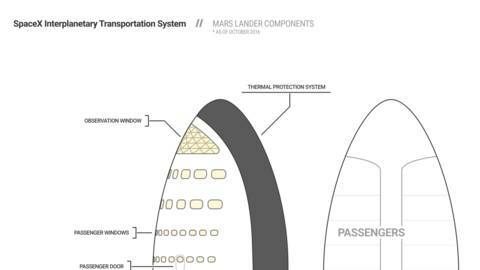 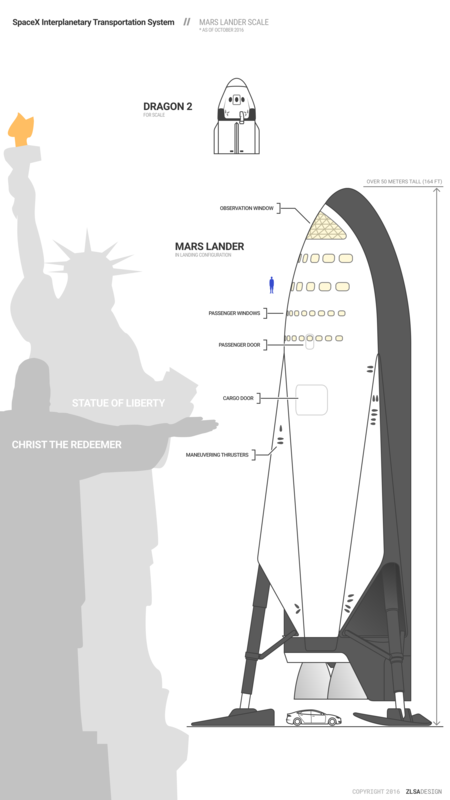 This is an overview of the engine locations of the SpaceX ITS Mars lander. 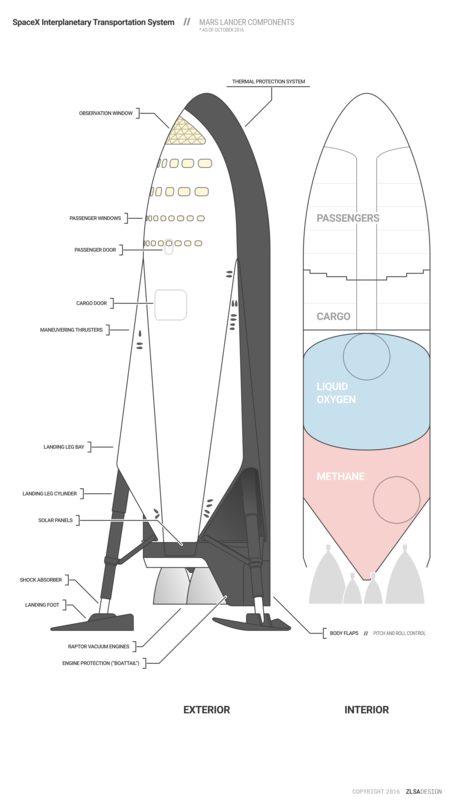 The SpaceX ITS is huge. 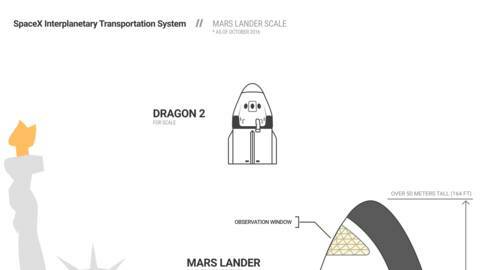 This is only the smaller upper stage.